For those 70½ and older, there has not been a way to reduce one’s Required Minimum Distribution (RMD) if the income was not needed, until now. Effective July 2, 2014, the IRS now allows the purchase of a specific type of annuity called a Qualified Longevity Annuity Contract (QLAC) within your IRA or other retirement account. What is unique is that the value of the QLAC is excluded from the RMD calculation. The purpose of this regulation is to give people a way to plan for retirement and not outlive their income. A QLAC is a deferred income annuity where the annuitized payout (irrevocable income stream) can start no later than attainment of age 85. It can start earlier if needed. By deferring the payout until a later date, the income generated is substantially higher. A QLAC can be owned in a SEP, simple or traditional IRA, 401(k), 403(b), 457, or other defined contribution plans. Roth IRAs and defined benefit plans are not permitted to hold QLACs. There is a limit on how much someone can invest in a QLAC. You can invest up to a maximum of 25%, or $125,000, whichever is less aggregated for all retirement accounts. For IRAs, the 25% limit is based on the fair market value of the account as of Dec. 31 of the previous year. The $125,000 amount will be periodically indexed for inflation in $10,000 increments. The QLAC cannot be a variable, indexed or other type of annuity. In addition, it cannot have a cash surrender value or offer a commutation. In other words, once a QLAC is funded, you cannot surrender your contract and get a lump sum of money back like regular deferred annuity. But the regulations do allow for a return of premium feature that would be payable before or after income payouts start in the event of the owner’s death. If all of the premium has not been paid out to the policy owner, the beneficiaries can receive the remaining balance in a lump sum. The payment has to be made no later than Dec. 31 of the year following the year of death. In the case where a policy owner has not selected the return of premium feature then dies, payment to the beneficiaries can only be in the form of a life annuity. As an example, let’s say that a 72-year-old has a $250,000 IRA. His annual RMD for 2014 is $9,765.63. He reallocates 25% of his IRA or $62,500 to a QLAC. His RMD for 2014 is now reduced to $7,324.22. The advantage of allocating to a QLAC is that with a smaller RMD, the remaining balance in your IRA will benefit from the continued tax deferral. In addition, there may be less income tax due on the smaller RMDs. Another advantage is that you have now shifted the risk of providing the income from yourself to an insurance company. You won’t have to worry about running out of money if you pick the wrong investments. The insurance company guarantees you income for the rest of your life. This is a nice benefit for those that don’t want the worries of investment management. As of right now, there are a limited number of insurance companies that will be offering QLACs. There is one company that should have their QLAC available by the end of September. People up to age 80 can sign up for a QLAC to reduce their Required Minimum Distribution. However, the younger you can fund it, the more time your future income will have to grow. Before you sign up for a QLAC, make sure that these are funds that you will never need as a lump sum. 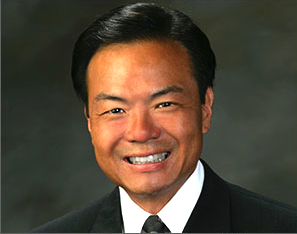 Karl Kim, CFP, CLTC is the president of Retirement Planning Advisors, Inc. His office is located in La Mirada. He can be reached at (714) 994-0599. He is the creator of the Reverse Retirement Plan. This is meant to be an educational article. Do not make any decisions solely on the information in this article. Consult your tax advisor, financial advisor or attorney before taking any action. We are not responsible for any inaccuracies or misinformation. CA Lic #0810324.